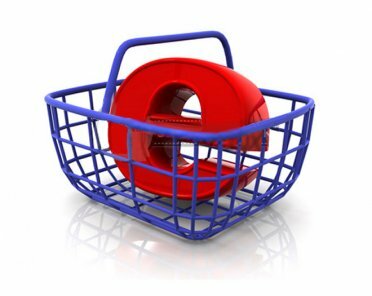 The online retail market presents a plethora of unique advantages for aspiring internet entrepreneurs. However, the process of building, operating and marketing an online storefront can be a complex and tedious one that involves the use of many tools and resources. Fortunately, there are web hosting plans designed specifically to aid in the construction and management of eCommerce stores. Ecommerce web hosting provides all of the necessary applications and server resources needed to create a successful online retail business. Using the following procedure and a comprehensive eCommerce hosting account you can have establish an internet store with minimal effort. The first thing you’ll need to do after securing a good domain name for your web site is compare various eCommerce hosting plans. The hosting plan will be central to your success as a webmaster because it will be the fuel of your website. Without adequate server resources and the right tools your pages will load slowly and the administrative tasks will become overwhelming. Since you’re staking your business on the reliability of your web server you’ll need to choose a reliable hosting plan from one of the most reputable hosting providers. Look for plans that include tools like shopping carts, product catalog creators, SSL certificates, site building tools and flexible payment processing capabilities. Now that you have a good hosting account and domain name to work with you can begin constructing your web site. Start by picking a template that will suit the theme of your store, which can be uploaded to the site easily using a content management system. For example, if you plan on selling sporting goods then you may want to find a sports-related theme. You can also hire a developer to create a custom theme for you by visiting one of the many freelancing forums online. If you don’t want to use a template you can also use the integrated site building tools to create a custom website. After the main template has been chosen and modified to your likings you can then start creating the store itself. RELATED: How Complete is Your E-commerce Solution? Now that you have a good looking website it is time to populate it with products. To do this you can use the product catalog creator within your eCommerce hosting account. Simply load the images of your products into the interface along with any descriptions you may have and the product catalog creator will automatically create a web page for each product. These tools also index each page so that visitors can find products easily using your custom site search engine. The shopping cart is one of the most important parts of the website because it is ultimately responsible for closing the sale. Most modern eCommerce web hosting plans come with a variety of shopping cart applications that let you fully customize your visitors’ experience. You can even add features such as customer reviews, which give your customers the ability to leave reviews about your products. Finally, after the site is designed and all of the products have been uploaded it is time to connect each page with the payment processing utility of your choice. Fortunately you don’t have to do this one page at a time, as your eCommerce account should include tools that simplify the process for you. You should be able to integrate your merchant services with your hosting account seamlessly just by filling out a few forms and clicking a few buttons.